*That name from box’s cover in incorrect. 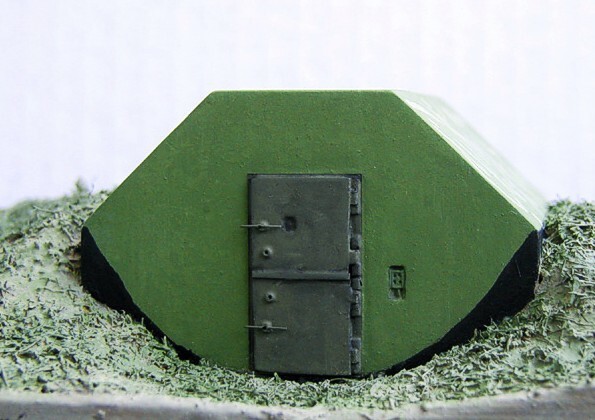 This is a small bunker for one h.m.g. 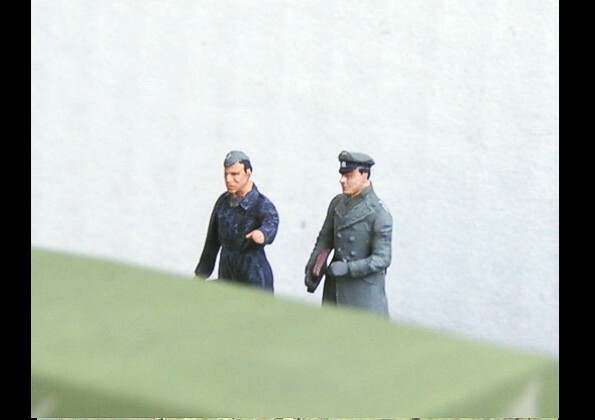 and three crewmembers. It took the name “Heinrich” after wavy sheet with “H” symbol which was an antifragmentation layer. This objects were built along German borders e.g. around Schneidemuhl (today Pila in Poland) in The Pomerenian Wall (Die Pommerenstellung). 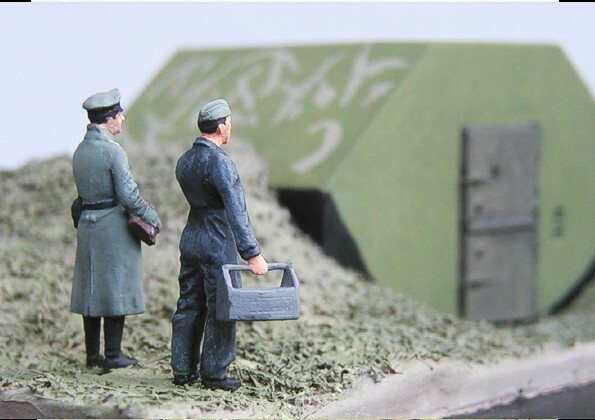 My diorama shows a moment of inspection in the fall of 1944. 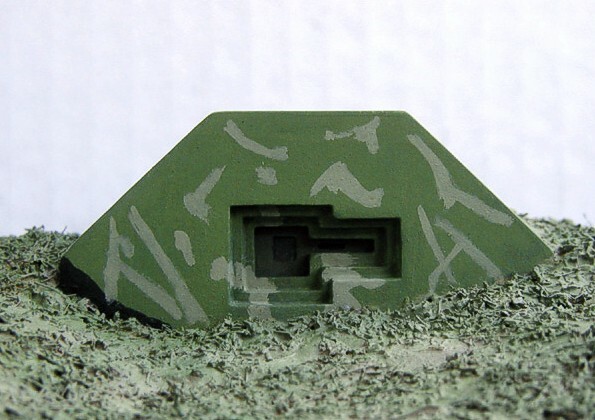 The bunker is a simple model, I only modified the armor plate (type 442 Po 1) and armor door (type16 P 7). I also scratchbuilt a field-phone annex. The terrain was made from gypsum and is very similar to original vacu. I used only Humbrol enamels. 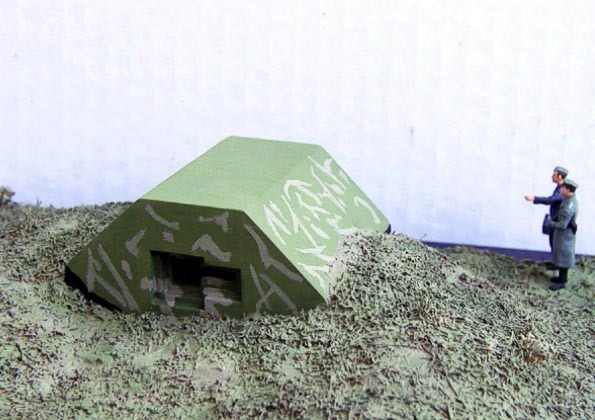 Basic color of bunker is no. 80. The camouflage is hipotetic. My main source was J. Minkiewicz, B. Perzyk, “Wal Pomorski” and drawings of R. Jurga.